Not sure where to begin choosing a display solution? Take a look at our product list. A guide to understanding how touch screens work. How different industries use enhanced displays. 55″ Large Format Touch Display, 10 Point PCAP Touch Integrated with NEC Display Technology. 40″ Large Format Touch Display, 10 Point PCAP Touch Integrated with NEC Display Technology. 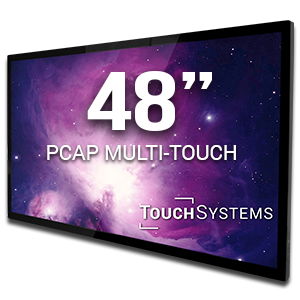 48″ Large Format Touch Display, 10 Point PCAP Touch Integrated with NEC Display Technology. TechBlog: Corporate Reboot – From Whiteboards to WOW!